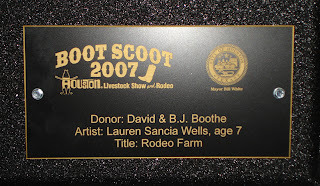 Lauren Wells is one of the youngest artists ever to be commissioned by the Houston Livestock Show and Rodeo. 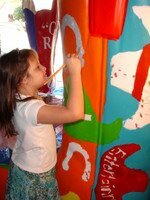 This petite 7-year old is already a creative giant, and holds a surprising list of creative accomplishments. 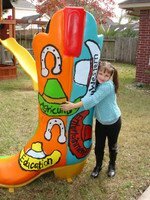 Lauren worked enthusiastically to complete her creative efforts on her boot, working for hours in 40 degree temperatures and wearing 2-3 layers of clothing, yet capturing the true spirit of the Rodeo from the eyes of a 7-year old. 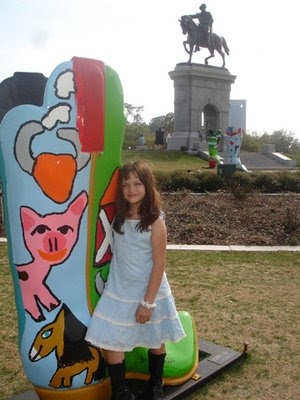 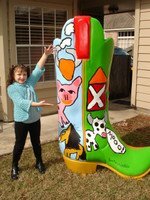 Viewers have been enjoying her painted boot that was recently on display near the Sam Houston Memorial in the museum district.